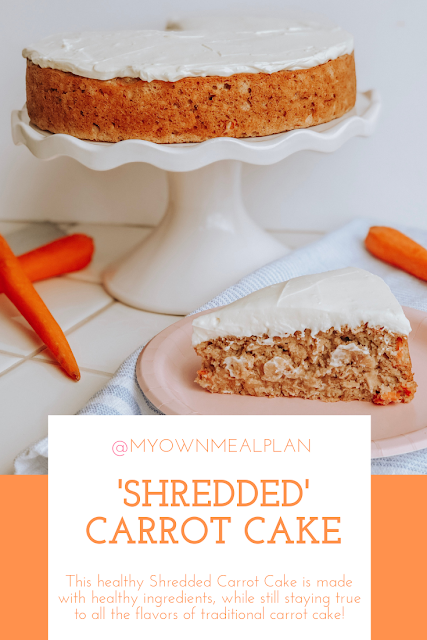 This carrot cake is not your typical carrot cake, it's shredded. And by shredded, I mean fit, and by fit, I mean healthy! 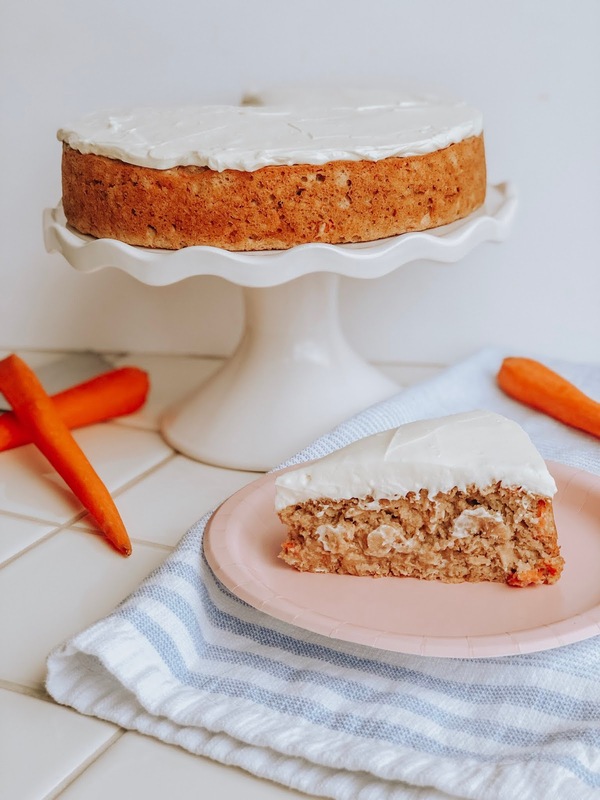 This new Shredded Carrot Cake has only 328 calories per serving, frosting included! It's made with healthy, nutritional ingredients that still taste amazing! 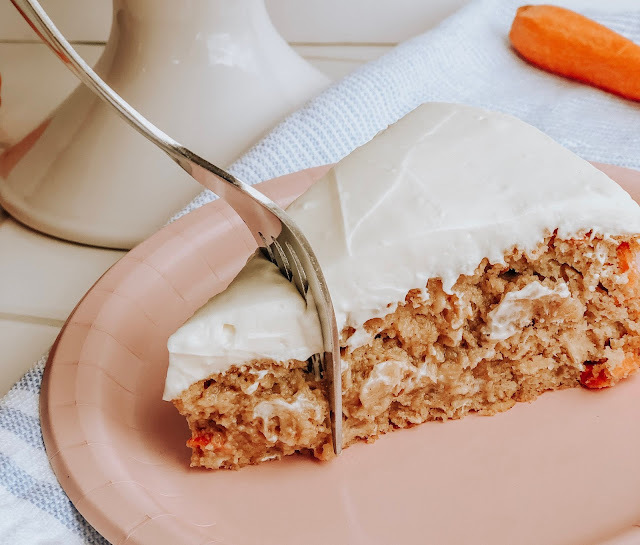 Have your cake and eat it too! Make it with me! This Carrot Cake is a healthy spin on a traditional recipe! It has all the same great flavor and ingredients, just made a little lighter and a lower calorie! 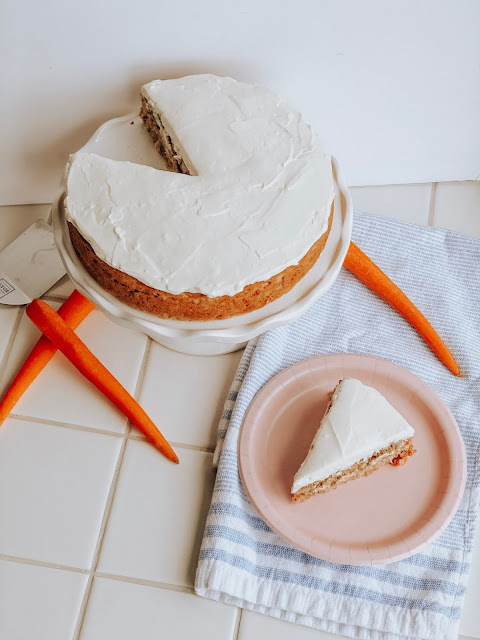 You still get those delicious spices and seasonings, bites of carrot, and cream cheese frosting! All the feelings, half the guilt! 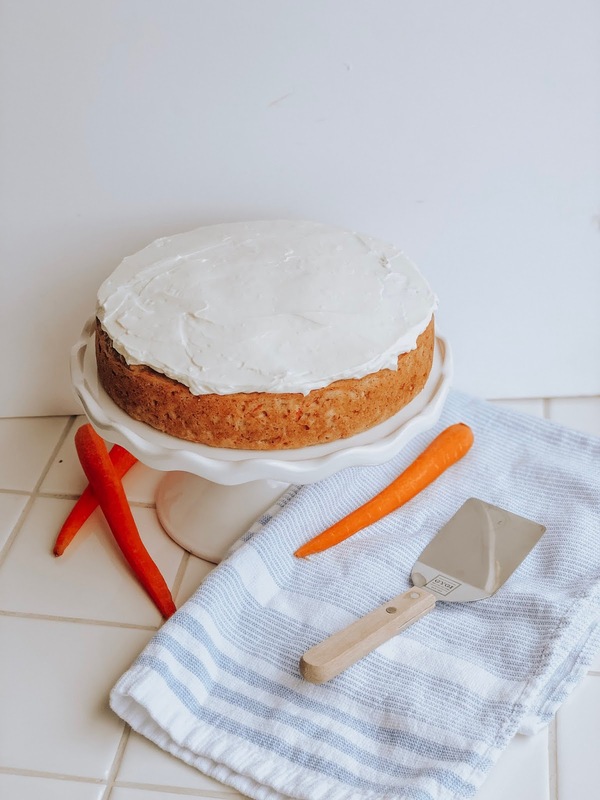 The trick to this recipe is making sure that the cake bakes all the way through. 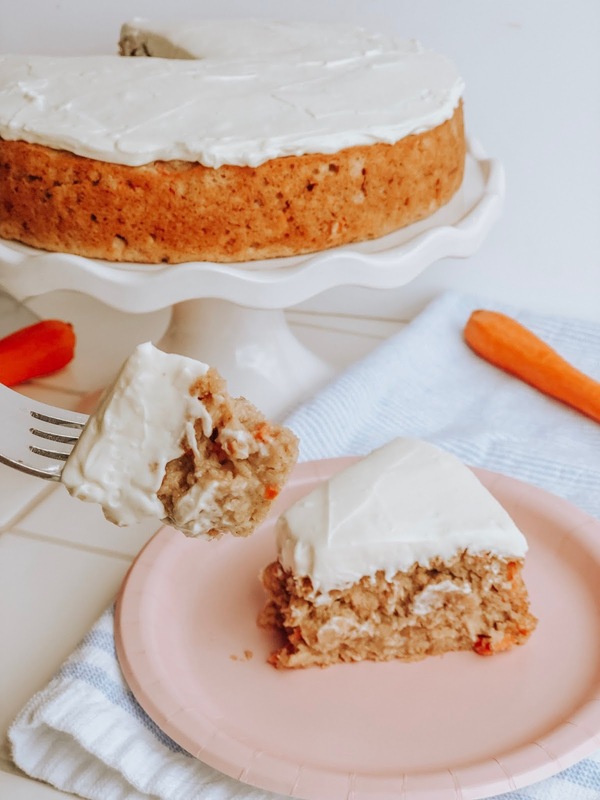 There are a lot of wet ingredients in this recipe that need to bake up. 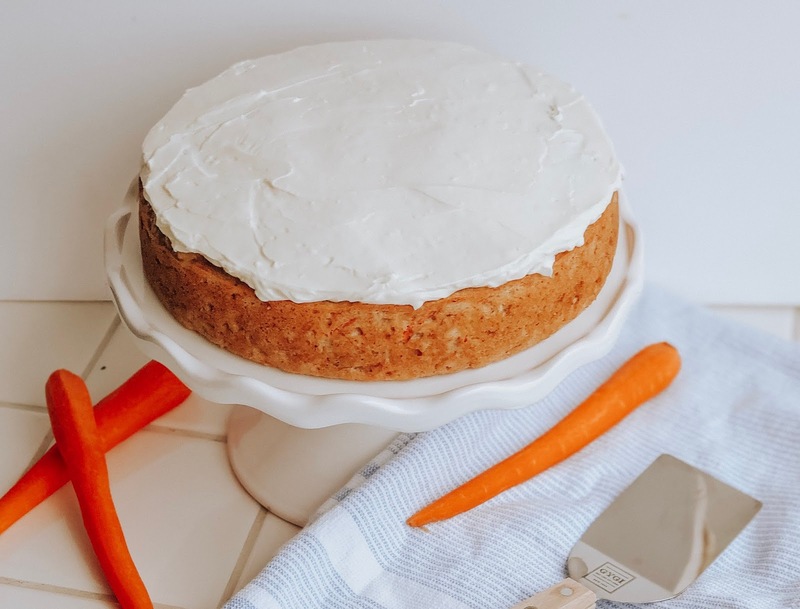 Make sure that the cake doesn't jiggle or appear too soft when you take it out of the oven. Test the center with a toothpick and be sure it comes out clean! Grease a 8 inch round cake pan and line with parchment paper. In a standing mixer, beat eggs. Add Greek yogurt, maple syrup, coconut sugar, vanilla extract, bananas, melted coconut oil and applesauce. Mix until incorporated. Add Kodiak Cakes Mix, oats, cinnamon, nutmeg and salt and mix until just incorporated. Gently fold in shredded carrots. Bake for 35-40 minutes, or until edges are brown and a toothpick comes out clean. Allow to cool in cake pan for 5 minutes before moving to a cooling rack to cool completely. Beat all the ingredients together in a stand mixer on high speed. Add milk until you've reached the desired consistency. Spread frosting on cake and enjoy.